All American Window Tinting, Inc. (AAWT), is the leading school window tinting company in Denver and surrounding areas in Colorado. 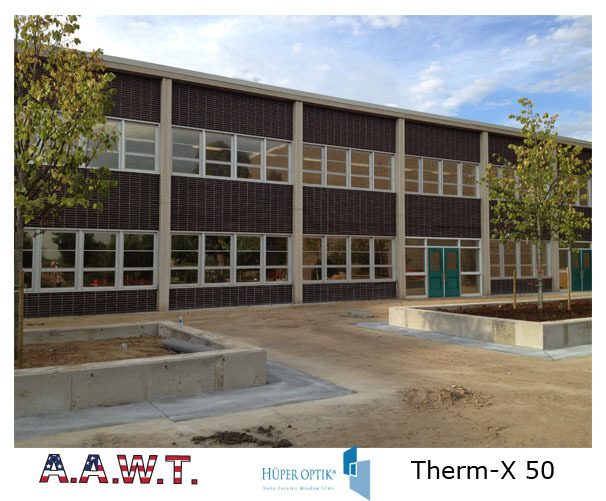 While ensuring the protection of children during school hours has taken the forefront of most schooling issues, AAWT provides solar control film, security film, anti-graffiti film options that are beneficial for any school. The uses of window film can vary depending on what need is wanting to be met. Students, teachers and administrators alike, are in schooling facilities over 200 days a year, for more than six hours a day. During this span of time, the weather outside is changing and the temperatures in the classrooms and corridors are fluctuating as well. Solar control window film in schools can offer the same benefits as the window film applied to homes and offices. An entire school does not necessarily need window film installed to every pane of glass but there are certain areas that can reap the most benefits. 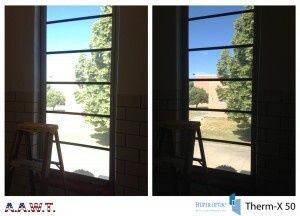 For example; a computer lab can have the glare reduced on the screens, a sunny corridor can finally have some relief from heat, or the classrooms, with over 25 students, can be cooler when spring and summer begin, all when window film is applied to those windows. Window film can reflect as much as 80% of the sun’s heat which will lower energy costs and the same film will retain interior heat which will reduce heating costs during the colder months. In addition to solar control window film, schools can benefit from safety and security film. Schools across the country are supposed to be a safe environment free of crime and violence. While this was the case in the past, student and teachers, from elementary to high school, are becoming the victims of malicious attacks. Shatter resistant security film and safety film is an optically clear, multilayer, polyester film that bonds to the inside of the window to reinforce the glass and help hold it in place upon impact. In typical cases upon impact security film helps hold the shattered glass in place, making a break in a harder task to accomplish. The best investment that can be made in students’ and teachers’ lives is providing protection from not only the sun but also taking preventative measures with security film. At All American Window Tinting, our staff is equipped with years of knowledge and expert training to ensure that all your window needs and concerns are met. Our application, materials and training continue to stay current and cutting-edge. At All American Window Tinting, Inc., we stand behind our work and promise to deliver only the highest quality products with a professional installation that is sure to stand the test of time. Contact All American Window Tinting, Inc. (AAWT), in Denver today for your FREE estimate and get the sense of security you deserve.